The beauty of the products and objects we buy often make us forget, or at least diminish the thought, of how beautiful materials can be in their purest, most raw, form. The basic materials of most homes is concrete, wood and metal—and all of these materials, when used correctly—are more than okay to use as decor. Most homeowners believe that leaving materials exposed will make for a modern, industrialised look—but this does not always have to be the case! You can let the materials in your home speak for themselves and still maintain even more traditional and classic looks as well. We have dedicated this Ideabook to being true to materials, in hopes that you will respect the foundations of your home and create ways in which to incorporate them into the interior design that you choose. Raw wood in all its types and colours is one of the most beautiful furnishings you can have in your home. 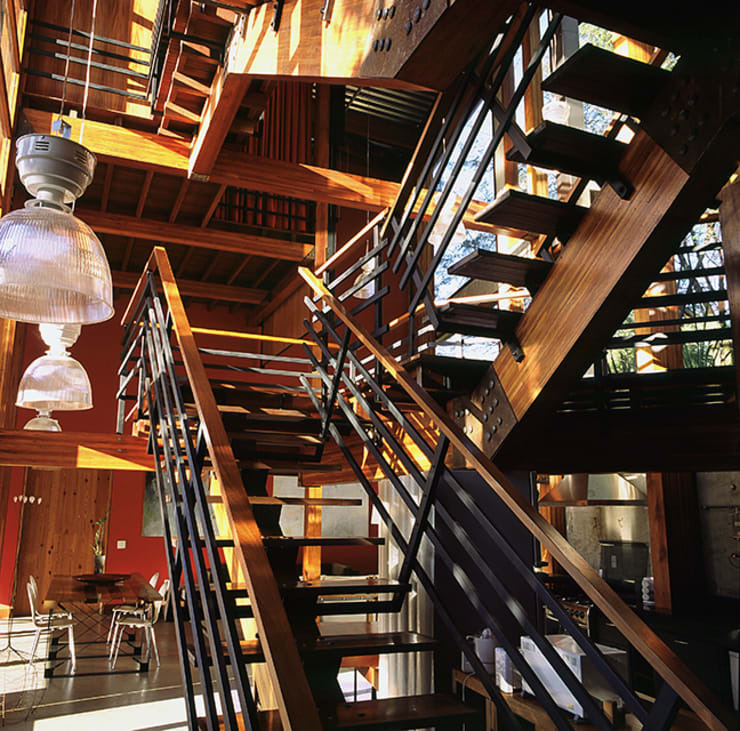 Whether it's hard wood floors, or exposed raw timber ceilings—raw wood will add a stylistic dimension to your space that almost nothing else can. The amazing aspect of raw wood is its ability to work with any type of space—from rustic and country to Scandinavian and minimal—it really can work everywhere! Make sure when deciding on exposing your wood that you are properly maintaining it! Sealing or waxing wood floors is a great idea as it will help with spills, scratches and scuffs. Also, be careful of the cleaning materials you decide to use, as they can be harmful to both the floors and to you. Think you might feel limited with all the wood in your home? Sand it down and choose any shade of stain you want! You do have choices, even with wood! Beautiful and often hard to come by, are raw stone walls! If you're lucky enough to have stone walls in an area of your home, then leave them exposed! Of course, the lack of insulation with stone walls, comes a coldness that you won't find with dry wall, etc; but the look of raw stone is also something you won't find anywhere else either. If you do not currently have any areas of your home with raw stone, then opt for a cheaper option of faux-stone or stone veneers for the same look for less! Make sure when handling stones or building around your stone wall, that everything is secure and stable or this can cause major structural problems in your home! 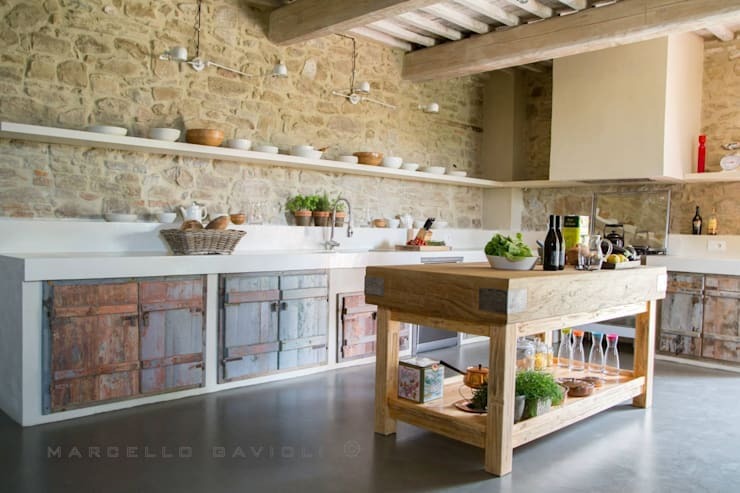 Marcello Gavioli is wonderful at working with multiple types of raw materials in one space! For most homeowners, covering up concrete is something that's done during the building process with insulation and dry wall, among other things. But for once, think about leaving the concrete areas of your home fully exposed for an über modern and minimalist look. 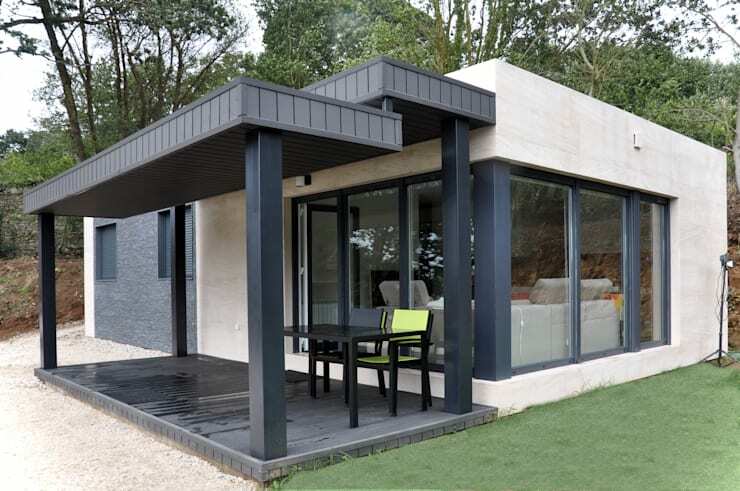 Don't assume that having exposed concrete in your home means it will look cold and uninviting! This is most certainly not true. 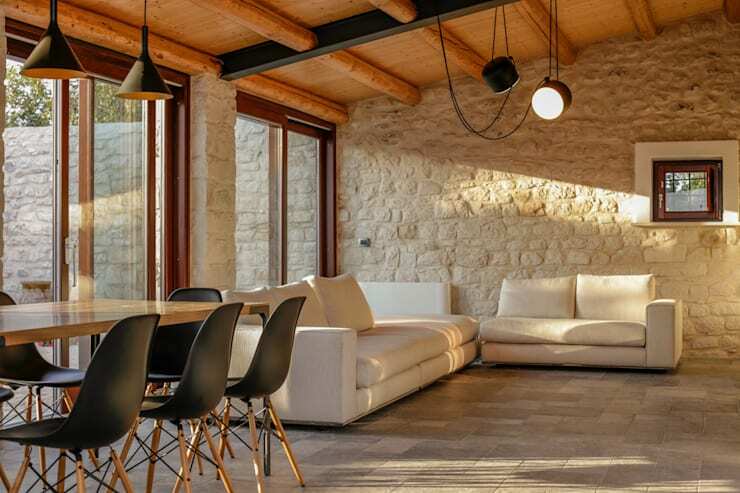 You can create an incredibly cosy environment with concrete when you choose the right accessories and decor to outweigh the blandness and hardness of the concrete. Think of soft, plush rugs, industrial light fixtures and super comfortable furniture! Metallics might be hard to come by in most homes—but if you're lucky enough to have some metallics in your home, then let them shine through! As seen here, this homeowner has clearly not only exposed metallics, but have built their home with metals and metallics being the main theme! From the metal steps and staircase railing, to the metal light fixtures and dining room chairs—metal is everywhere! However, even this modern home has a sense of comfortability with the combination of natural light and dark red wall colour! Most people would love to have an exposed brick wall in their home—and those that don't, will sometimes pay dearly for it! If you're one of the lucky ones to have an exposed brick wall—please don't cover it up with paint, dry wall or plaster! And while we're talking about it, don't cover it up with too much decor either. Let it speak for itself and maybe place a few black and white personalized artworks and photographs on it—and then leave it alone! 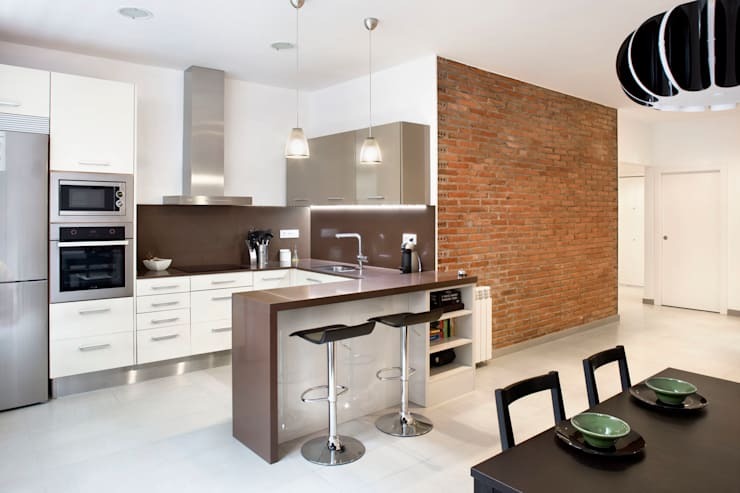 If you're not lucky enough to have an exposed brick wall, but dream of it, then think about brick overlays and real brick veneers for the same look in a cost-effective way. Most of these projects require minimal costs and installation—and the look is uncanny! Nais! has designed one of the most perfect, industrialized bathrooms. The combination of glass subway tiles, copper piping and metallic fixtures and circular mirror make this space perfect! We understand that to most, pipes and ducts are an eyesore—but if you want to create a modern, minimalist space—look no further than letting the abnormal things become normal. As most house pipes need to be checked and inspected on a regular basis, you can use this as an opportunity to change your piping into something that's both functional and beautiful for your home! To see how this whole bathroom worked out, check out the entire project here! Do you have great materials in your home? Tell us how you've used them by commenting below!